Will Van Gerwen get the better of Gary Anderson in the semis? "Well, sparks will most definitely fly in what's expected to be one of the best matches we'll come to see on the Grand Slam stage. Phil Taylor's and Adrian Lewis' classic encounter from 2013 will take some beating, but Anderson and Van Gerwen have had some phenomenal encounters over the years." The first semi-final should be an interesting contest to kick off the day in Wolverhampton. Gerwyn Price has had a fantastic tournament so far, and he was the main talking point in his slender 16-15 victory over Simon Whitlock in what was a high-tempered affair as Price isn't scared of showing his emotions. But, his opponent Mensur Suljovic is another player who isn't afraid of letting his opponent know his thoughts. In terms of their head-to-head meetings, the Austrian's come out on top in two of their three encounters in 2018, those wins were at the World Grand Prix and in the Premier League. For Price, he's thrown his name in the hat for the Premier League after another impressive showing in a televised major. The way that the Welshman came back to edge out Simon Whitlock was highly impressive. There's no seperating the pair in any of the statistics as there's just a 0.40 point difference in the averages, but Suljovic has an excellent checkout rate of 50% for the tournament, and I feel that when the pressures on, Suljovic will be the more relaxed of the two. I do think that this match could potentially go the distance, I think the Over 27.5 Total Legs at 4/5 is more than fair. In addition, you can get a Gerwyn Price win at 6/4 which for me is also a great bet. Well, sparks will most definitely fly in what's expected to be one of the best matches we'll come to see on the Grand Slam stage. Phil Taylor's and Adrian Lewis' classic encounter from 2013 will take some beating, but Anderson and Van Gerwen have had some phenomenal encounters over the years. The pair are yet to face off in the Grand Slam, in addition, they've never met in a best of 31 leg match. Van Gerwen's had the better of Anderson in six of their eight meetings in 2018 with Anderson's most recent victory coming at the Champions League back in September as the Scot produced a 140 checkout to win. In terms of tournament averages, the World no.1 boasts a 104.68 compared to Anderson's 100.48. 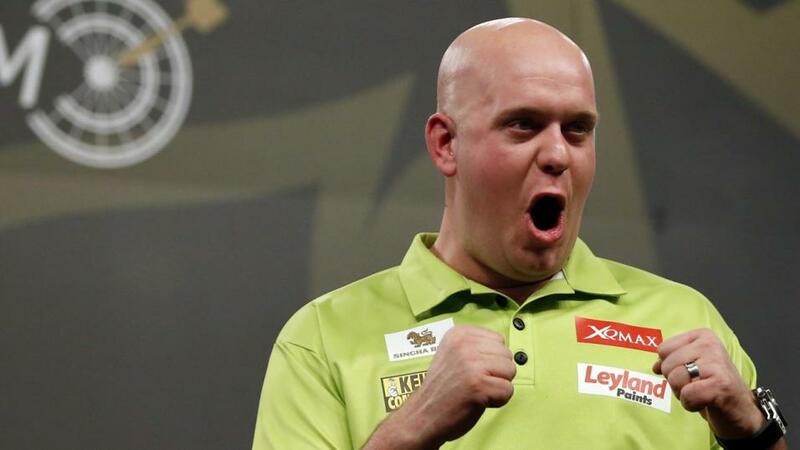 In terms of maximums, Van Gerwen has hit nine more than the Scot, but more importantly, Anderson has a far better checkout rate of 52.56% (41/78) compared to the Dutchman's checkout rate of 40.82% as he's missed 58 darts at a double, but 30 of those came in last night's 16-12 victory over Jonny Clayton. My recommended bet is Over 27.5 Total Legs as I feel that this match will go the distance, but it has to be said that 9/5 for a Gary Anderson victory is an excellent bet to have.